In 2015 Austria took on about 90,000 asylum applications - one of the highest figures per population in Europe. The Institute for Urban and Regional Research (ISR) partnered with the Institute for Social Anthropology (ISA) and conducted an empirical pilot study among refugees, which is the basis of this ISR-Forschungsbericht. From December 2015 to March 2016, 60 biographical interviews with refugees from Syria, Iraq and Afghanistan living in Vienna were compiled in Farsi-Dari, Pashto, Arabic and Kurdish. A qualitative and interpretative research approach was used to understand how the refugees make sense of their experiences and networks on their path to social inclusion into the Austrian society. The collected information provided a wide range of insights into biographical topics in the context of refuge, for example, flight motivations and the often-traumatic experiences which were made in the countries of origin but of course also during the long way to and in Europe. 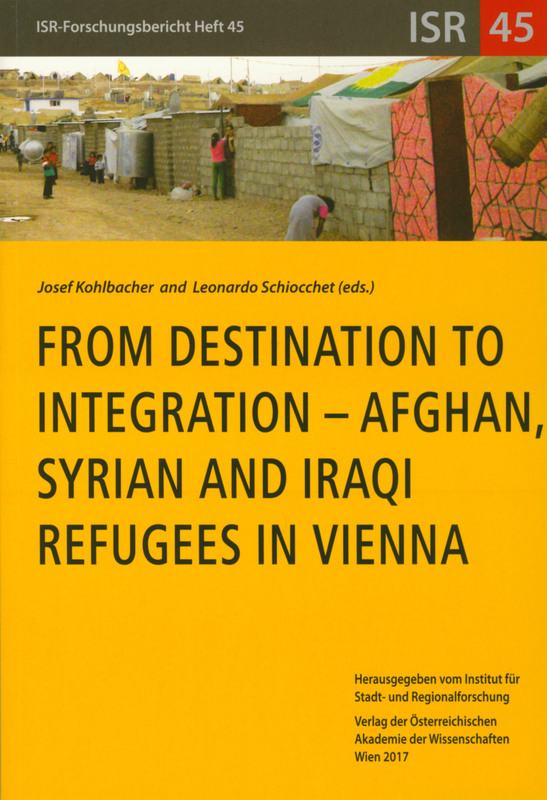 The contributions in this volume provide invaluable insights in the refugees’ perspective of their situation, their hopes and expectations, specific problem constellations, and the challenges they meet in Austria. Overall, the eight chapters of this volume provide an insight into many aspects of the sending context of refuge on the one side and the challenges of refugees in the receiving context on the other side.